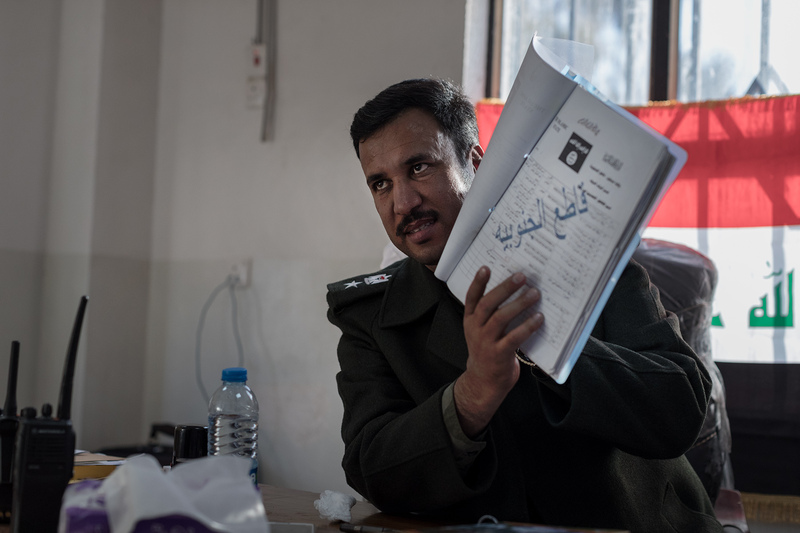 Lieutenant Colonel Yassin Ahmad Abbas, chief of Hammam al-Alil police, seriously injured during an ISIS attack, shows in his office a list with several ISIS members. Hammam al-Alil, Iraq on Jan. 9, 2017. According to him, time of vengeance will come.